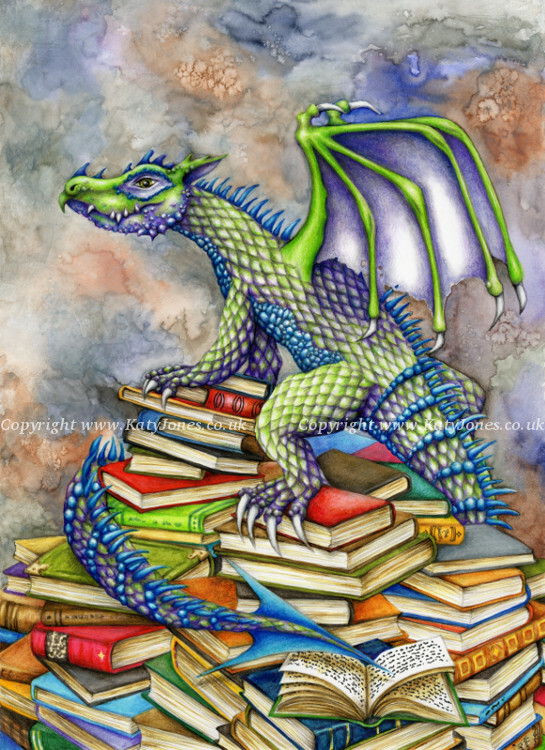 A ‘bookwyrm’ is a bibliophiliac dragon – a dragon who loves books. These elusive lizards amass great collections of books of all descriptions, in place of the better known dragon’s hoard of gold, precious stones and similar treasure. This bookwyrm is the proud possessor of a small mountain of antiquarian volumes and ancient tomes.